- International Air Freight Services, from Airport to Airport as well as Airport to Door & EXWORKS. Leveraging on our huge industry understanding and knowledge, we are providing Sea Freight Forwarding Service. These provided services are delivered by well-trained professionals as per set industry guidelines. Due to its perfection and promptness, this service is broadly valued by our clients. We are an eminent firm, which is engaged in providing Sea Freight Forwarding to respectable patrons. Our freight forwarding services guarantee that the client's consignment will reach the proper destination by the mutually agreed date and in proper condition. We offer a qualitative services of Sea Freight to our clients. These services are designed keeping in mind the clients budgetary constraints and also all the factors involved in the process. Our personnel are well aware of all the rules and regulations of various countries and strictly abide by them. 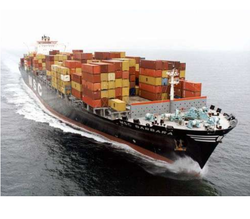 Seasky offers complete sea freight solutions both for import and export. The company provides a wide range of services that include inbound, outbound ocean freight solutions, FCL / LCL cross trade and door to door delivery. We specialise in international sea freight both LCL(less than a container) and FCL (full container load) from all around the world to and from India. We provide freight forwarding services for all Sea freight shipments around the world, whether small or largest consignments with absolute professional and in qualitative manner. We are engaged in providing Sea Import Freight Forwarding service to our patrons. This service is handled by industry known experts who have affluent industry expertise and acquaintance. Our professionals complete these services in proficient way. We offer these products at low rate. Portsudan International is your ideal partner for comprehensive global logistics services offering world class ocean expertise. We provide you with a diverse range of integrated solutions fully tailored to meet all your needs regardless of the size of your business and your location. We are specialized in handling ocean freight cargo. We have excellent network and tie-up with liner operators to get competitive freight rates both for FCLs and LCLs. As we are members of FIATA, we are awaiting for FIATA B/L to be issued by the Federation of Freight Forwarders in India at Mumbai. 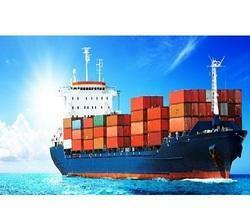 We are specialize in the areas of Sea Export and Sea Import.